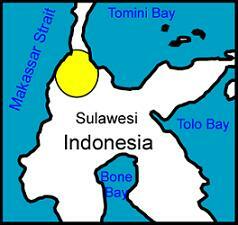 Etymology: Named for Helmut Sang of Essen, Germany, who first collected this species. Habitat: Specific habitat data has yet to be reported. Without this, ecological and climactic data cannot be accurately inferred. The type specimen had a trilobed dorsal sepal which was included in the original description. This characteristic is not genetically stable and, therefore, not useful for diagnostic purposes. Karasawa, K., M. Aoyama, and T. Kamimura. 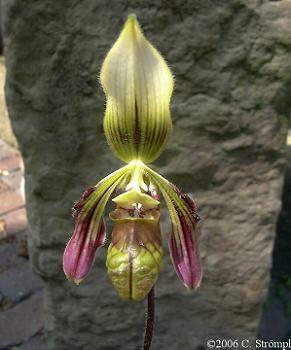 "Karyomorphological Studies on Five Rare Species of Paphiopedilum, Orchidaceae." Annals of the Tsukuba Botanical Garden 16 (1997): 29-39.